After two years of operation, Israel closing down 'Good Neighbor' operation on Syrian border to help Syrian civilians during civil war. After two years of operation, the IDF has shut down operations on the border with Syria on the Golan Heights aimed at assisting Syrian civilians during the ongoing Syrian civil war. 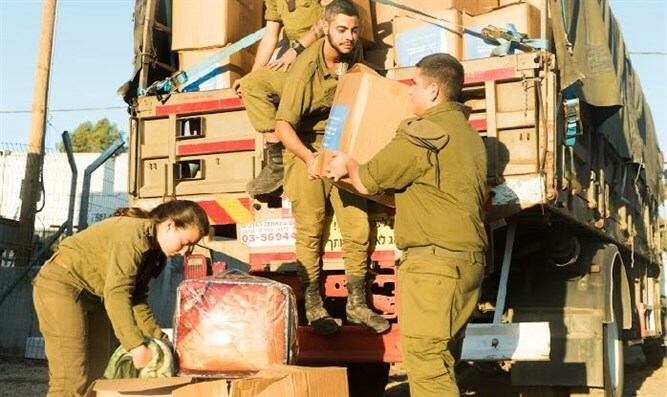 While Israel has provided help to civilians throughout the seven-year civil war, for the past two years, the IDF has maintained a special command on the Syrian border for managing the large transfers of humanitarian goods to Syrians just east of the security fence. Dubbed the “Good Neighbor” Command, the center also operated a clinic, known as Mazor Ladach, in the Golan for treating wounded Syrians. Thousands of Syrian civilians received aid or medical treatment from the command over the past two years. Some 7,000 Syrian patients were treated at the Mazor Ladach clinic, while thousands of tons of food and clothing were distributed to civilians near the border, along with over 1,000,000 liters of fuel, 40 vehicles, 20 power generators, 630 tents, and other humanitarian aid. One Syrian civilian personally thanked the commander of the Good Neighbor operation.